You should subscribe to hickok45! Our fourth match of the season was the Task Force Dagger Multigun in Blakely, Georgia. This was by far the most physically demanding match we have shot this season and the most fun. Every stage required the shooter to use all three guns and you had to run a minimum of a hundred yards on every stage. Every stage was different and took full advantage of the 3,000 acre range facilities. We shot off the top of three stacked connex boxes, through an old house and in the bed of a old military dump-truck. The shots where not easy, there were multiple 100+ yard pistol & slug shots and rifle targets stretched out to 470 yards. I shot a great match and came in 19th and Ryan Nowell was right on my heals at 23rd. The match ran smoothly thanks to the hard work by Andy Horner and Mike Cassidy. I admit to being an AR snob, lets get that out of the way first. Typically I would rather build my own AR15s than buy a factory rifle because I end up removing half the OEM parts to change for superior aftermarket pieces. Well today, my interest is really piqued with the new AAC MPW Rifle. We got in ten of these rifles this week to try out. AAC stands for Advanced Armament Corporation (for those who are not familiar). Long known for their suppressors, they have pioneered the .300 blackout (or .300 AAC) craze. 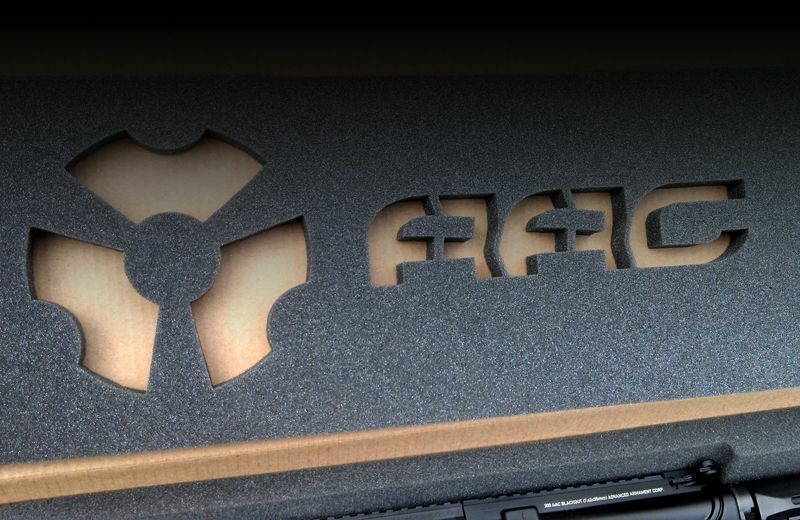 I was immediately drawn to the really cool cardboard box with great graphics on the outside, and upon opening the box, the cut foam with a sweet AAC graphic. 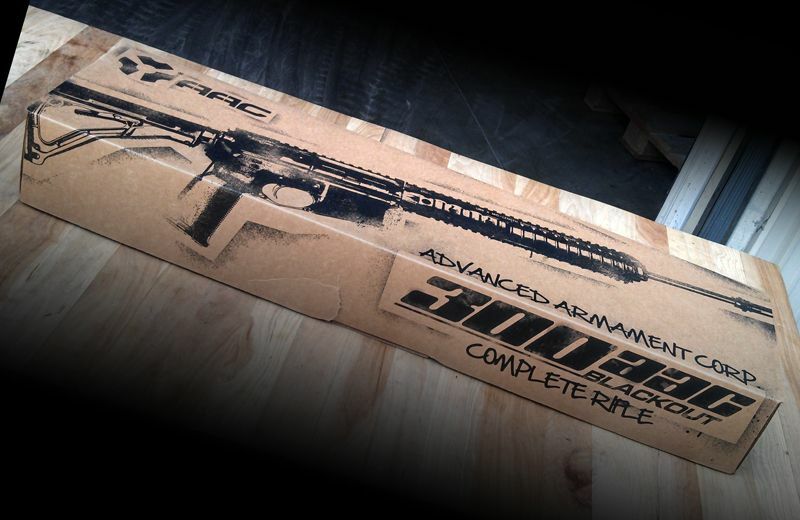 Now this would all be for naught if the rifle inside wasn’t as gorgeous as the packaging. A lot of companies are jumping on the Magpul furniture bandwagon but skimp in some areas. 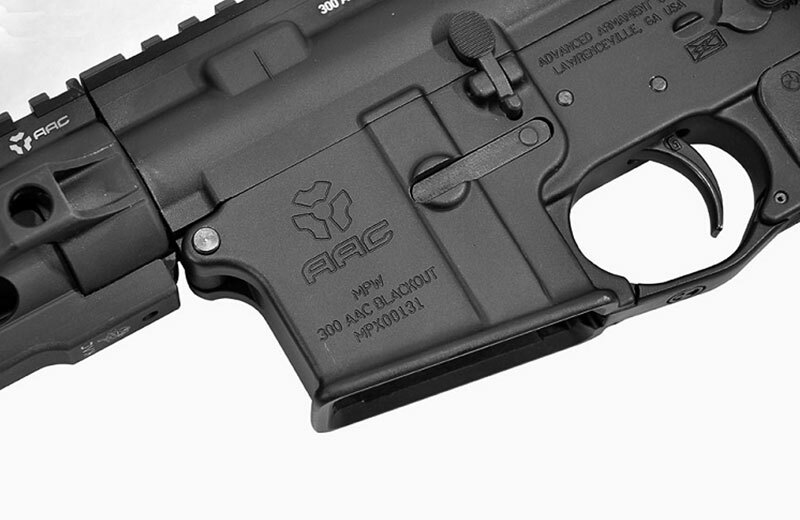 AAC did the right thing by including my favorite AR stock in the world: the classic Magpul CTR. Other manufacturers use the cheaper MOE version, and although it’s a great stock, the CTR is the gold standard IMHO. They finished it out with the MOE + grip (my go-to grip), Magpul Pmag, and a Magpul enhanced trigger guard. BUT……..here is where they have separated themselves on the lower build, they included a Geissele Trigger…….Yes, not too many manufacturers are including $200+ triggers from the factory. AAC’s rollmark on the lower is great looking and classy. On the upper end of the rifle they did a nice job laser engraving the upper receiver but not overdoing it. The Carrier of the rifle is Nickel Boron with a very cool AAC logo on the port door side. The Bolt is Carpenter 158® phosphated shot-peened steel and contains a black insert and O ring on the extractor. The barrel is salt nitrided so you get an accurate barrel that will last longer than chrome-lined, with better accuracy. AAC is installing a 51-tooth flash hider for use with their new SDN6 suppressor which will save you almost $100 if you own that can. My other favorite part of this rifle is the use of the Knights Armament URX3 rail: this has long been my favorite rail system for a AR15. The Knights URX3 has a thin mid section with rails only on the muzzle end and top, but they sell add-on rails or the cool Knights panel sections that screw into the rail itself. 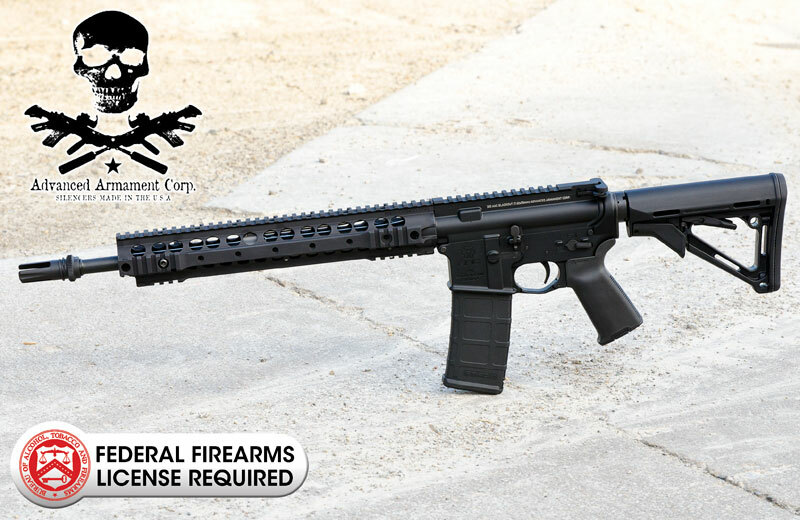 We sell this rail system for $299 so its another great addition to this loaded out rifle. The rifle feels extremely light and I cannot wait to shoot one.